Easy to Carry:mini design and light weight make it easy to carry. 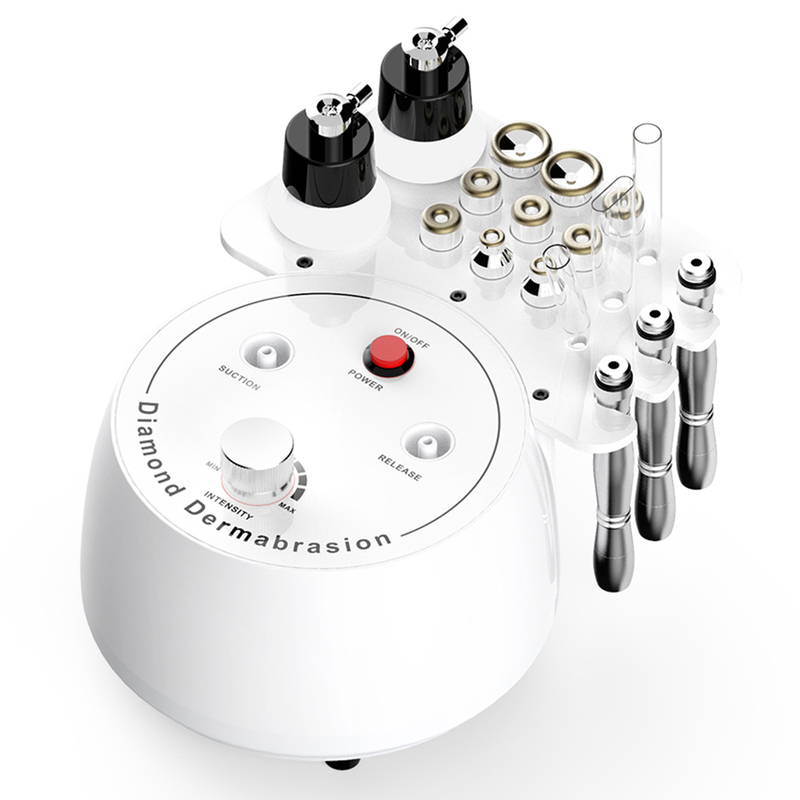 The Diamond Dermabrasion provided a non-surgical skin refinish procedure, by using sterile diamond heads to abrade or rub off the top skin layer, then Vacuuming out the particles along with any dirt and dead skin back up.Vacuum: Cleans dirty pores through suctioning tubes and increases blood circulation in the skin. Helps give elasticity in the skin and can decrease discoloration from acne and scars. Spray: Refreshing mist used after a treatment. Can be used with scented water or essential oils for a refreshing feel.Use for face.